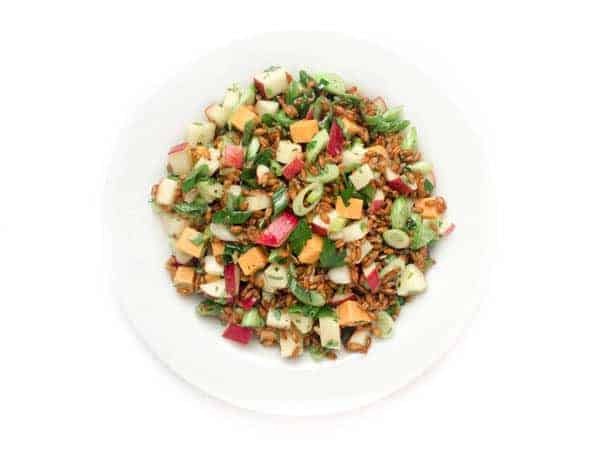 A hearty and flavor-packed whole grain salad made with chewy spelt, crunchy apples and sharp cheddar cheese. 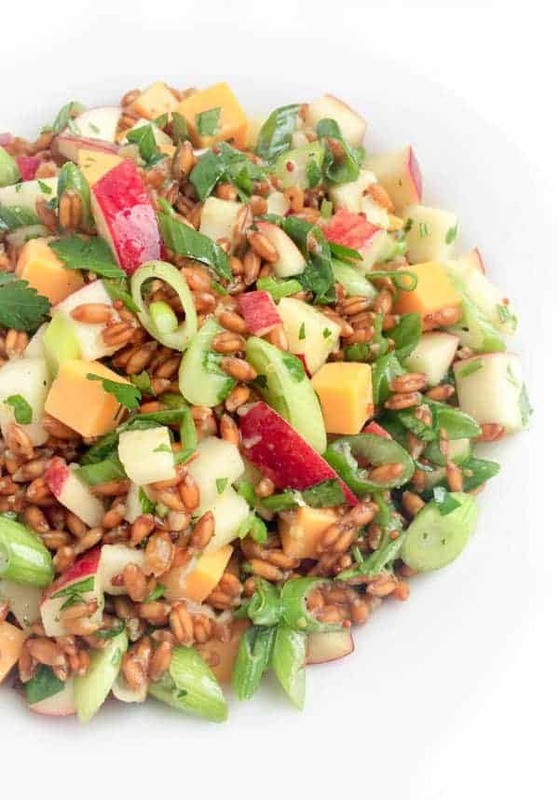 This Spelt Salad with Apples, Cheddar and Scallions is a fun twist on tabbouleh salad, one of my favorite Middle Eastern side dishes. In a nod to my mom and her famous after school snack, I decided to throw in creamy, sharp cheddar cheese and sweet, crunchy apples. The protein from the cheese and fiber from the apples create a nutritional powerhouse, any time of day. For a nutty flavor and hearty texture, I swapped out the traditional bulgur wheat with spelt berries. If you’re not familiar with spelt, it’s an ancient grain that originated in the Near East over 8,000 years ago. I love using it because it’s packed with vitamins, minerals, protein and fiber. For another nutritional boost, I added cubes of sharp cheddar. Not only does the cheese add a rich, creamy note but it provides added calcium, protein and other vitamins. To pull it all together, the salad is tossed with a sharp and tangy garlic mustard vinaigrette that will have you wanting more after each bite. Prepare spelt according to package instructions and place in a large salad bowl. Drizzle lemon juice, olive oil, garlic, mustard, salt and pepper over the bowl and toss well until spelt is evenly coated in vinaigrette. 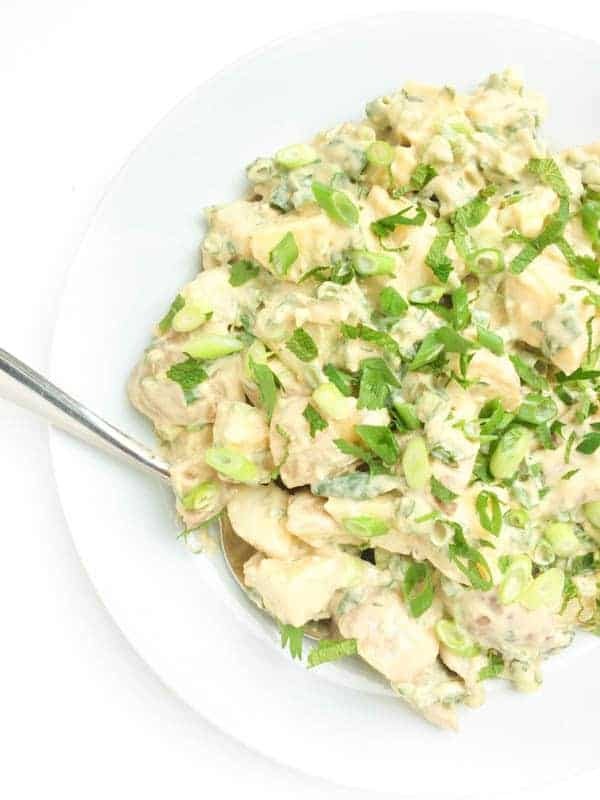 Stir in cheese cubes, apples, scallions and parsley. Toss again and check for seasoning before serving. Want more cheesy side dishes for summer? 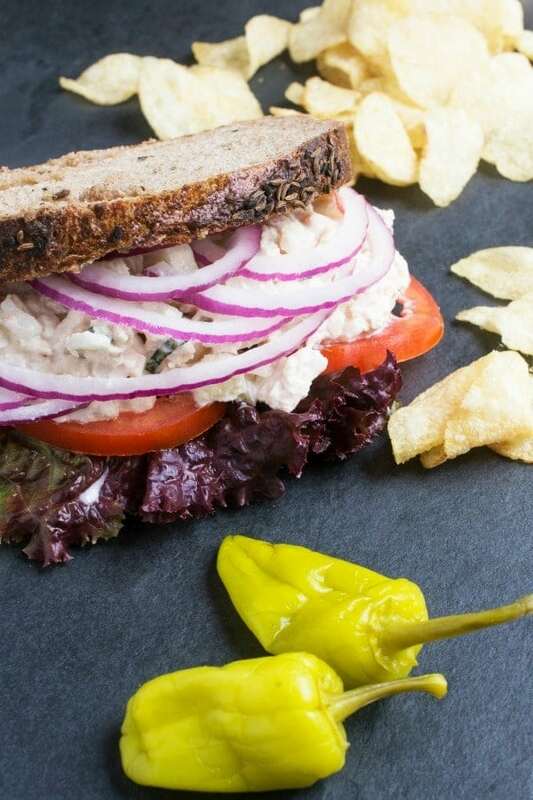 Check out these delicious ideas! I can’t wait to try this salad! I have maybe a dumb question….is this served warm or cold? Thanks! Apples and cheddar just get me every time! Loving this salad. So many great flavors in every bite. Gosh you and me both girl! 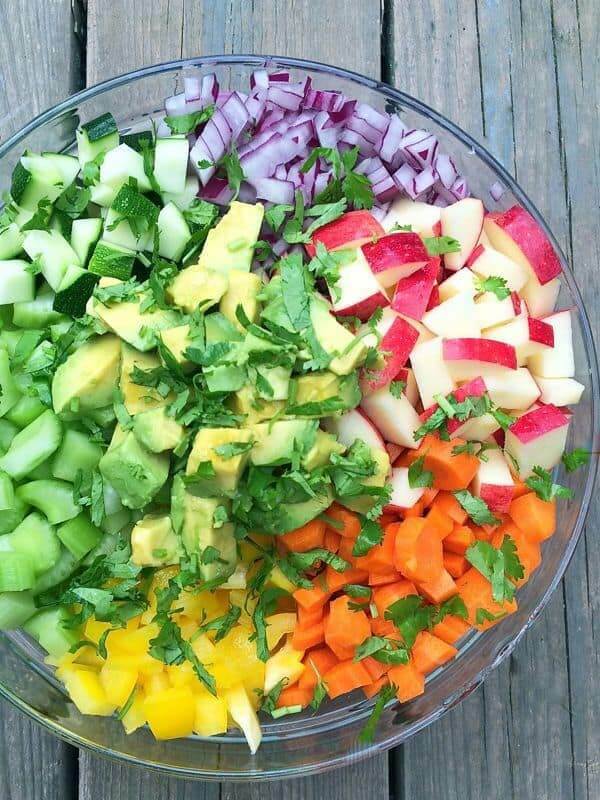 I adore all the stunning colors in this salad! So beautiful Liz! This is exactly the type of food I love to eat for lunch! Looks so tasty and satisfying! So many gorgeous colors!! I want to swan dive into this beautiful thing! Serious flavor bombs going on here, I bet it tastes amazing!! This sounds wonderful. 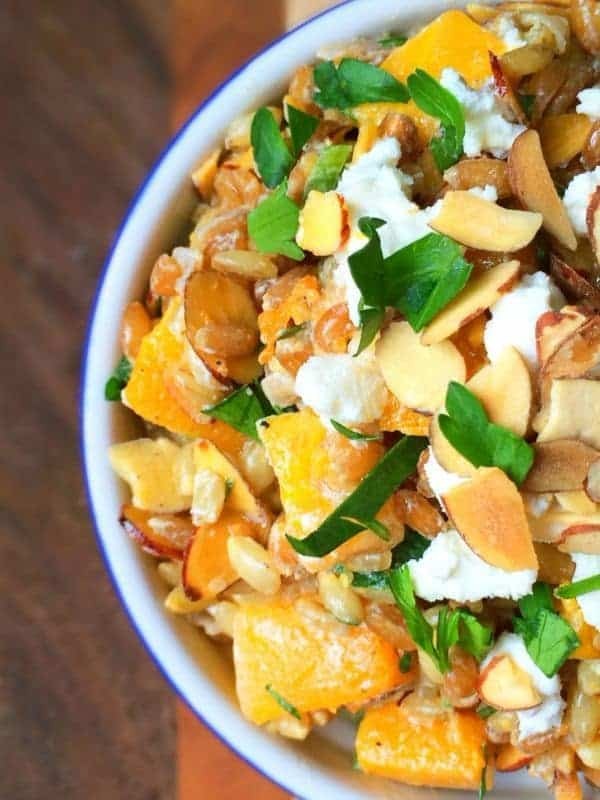 I love the chewy texture of the grain in salads like this. I think I’d add some sautéed pork or chicken and a veggie (broccoli?) to make it into a whole meal. 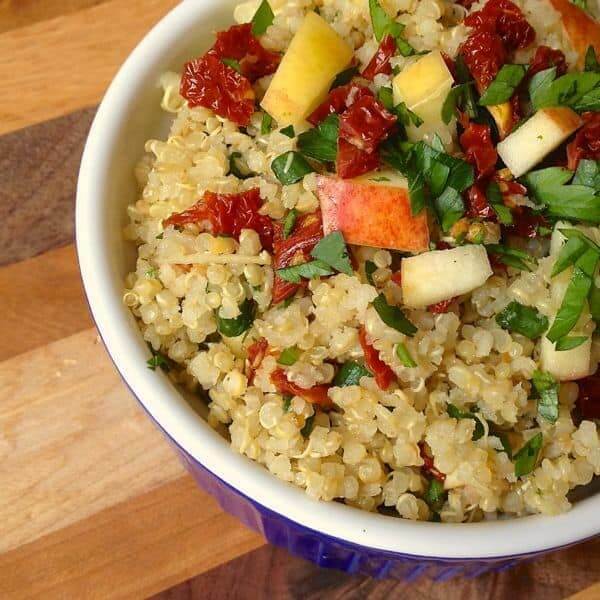 Whoa, all the marvelous textures and flavors in this salad make it irresistible!!! oh my goodness I want this right now!! Aggie I couldn’t stop eating it! !